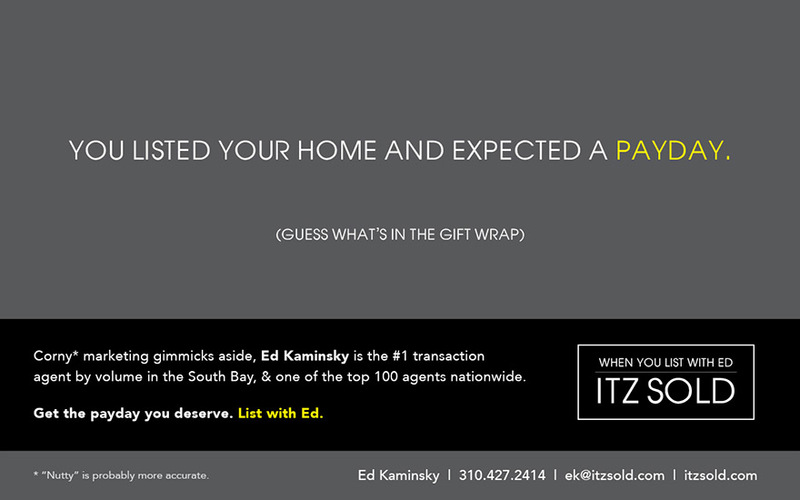 Kaminsky Real Estate Group prides itself on succeeding where other real estate agencies have failed, and their marketing focuses largely on attracting sellers of properties frustrated after watching their homes sit on the market for months…or even years. 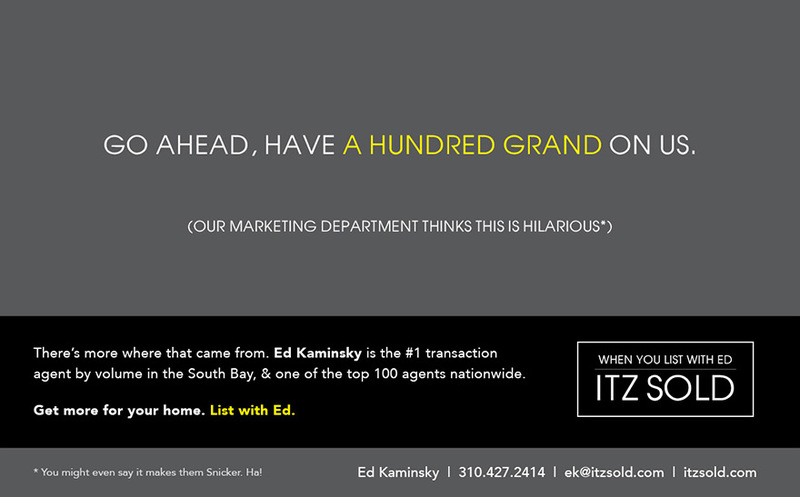 In the Fall of 2015, the marketing team at KRG (including myself as Lead Graphic Designer) came up with the idea of mailing Payday and 100 Grand chocolate bars to sellers of homes whose MLS listings had recently expired or been canceled…and bundling them with clever inserts riffing on the candy bars’ names and inviting the sellers to list their home with KRG. The campaign lasted through October, November and December of 2015, and attracted several new listings.